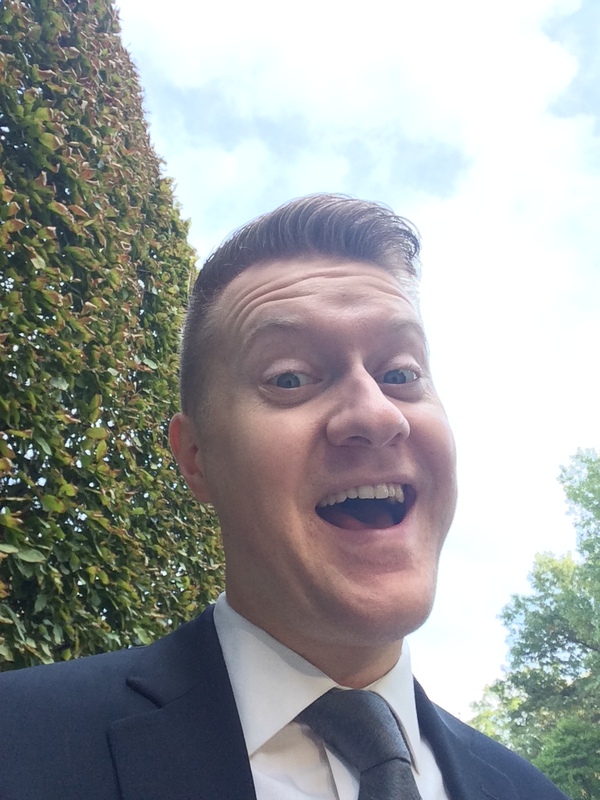 This month’s “Meet a PEALer” features Jesse Montgomery, Manager of Artistic Development at the Pittsburgh Symphony Orchestra. Jesse will be hosting our first Fireside Chat of the season, featuring Janet McCall, Executive Director of Contemporary Craft on Wednesday, November 4th. Register for your free ticket HERE. 1. How/why did you get involved in PEAL? I got involved in PEAL thanks to some gentle nudging from current and former PEALers. I’ve attended PEAL events off and on since I moved to Pittsburgh in 2011, and felt I had finally put down enough Pittsburgh roots to make a real contribution to the group and the Pittsburgh arts community. My first boss, Jim Mazzaferro at the Cazadero Performing Arts Camp. Looking back, Jim had the ability to honor the organization’s traditions while always evolving, and did a fantastic job synthesizing input from a wide range of stakeholders. 3. Who is your favorite visual or performing artist? Am I allowed to say an orchestra? The Pittsburgh Symphony is an amazingly talented group of musicians, but the San Francisco Symphony is still my hometown band. I’m also a big fan of the guitarist Pablo Villegas and the pianist Daniil Trifonov. Fiction: Purity by Jonathan Franzen, Non-fiction: Mover and Shaker: Walter O’Malley, the Dodgers, and Baseball’s Westward Expansion by Andy McCue. 5. What was the most ridiculous job you ever had? I did maintenance work for a Brazilian music and dance camp in the redwoods of Northern California. There was drumming going on 24 hours a day. Pittsburgh’s great. Have we mentioned that before?!? This entire month there has been so much energy around celebrating women artists in honor of International Women’s History Month, from the Kelly-Strayhorn’s Sun Star Festival to SWAN Day Pittsburgh 2013 and many other events. 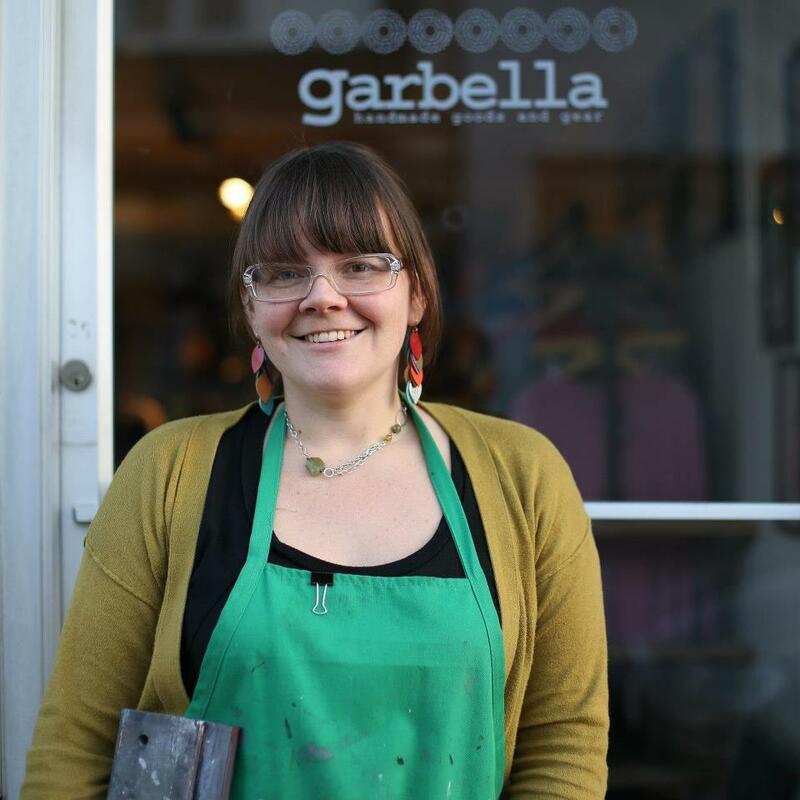 We’re going to round out our brief exploration of women artists in Pittsburgh* by spotlighting Amy Garbark, founder/owner/artist behind garbella, a company that specializes in hand screen-printed apparel, accessories, and home decor. I’ve had the pleasure of knowing Amy for several years now and am in awe of her entrepreneurial spirit and passion. And although she echoes the sentiment that Pittsburgh’s great, I would argue that she–and all of artists we have here in Pittsburgh–make it so. 1. Describe your current work with garbella. Why did you decide to start your own business, and how has it grown? I have always been a maker. I went to school for Art, I worked as an Art Teacher, and then for an Arts-based non-profit. I have always had some kind of creative outlet. In 2006, I opened an Etsy shop (at the time it was a new online marketplace to sell handmade work). During that time, I was having so much fun crafting: sewing, making jewelry and clocks out of bicycle parts, buttons, etc. I didn’t sell much, but it was fun! I kept making and then decided to make a t-shirt for myself and friends. I went to an open studio at Artist Image Resource to print it and I was hooked! I spent a few weeks riding my bike to the Northside with a ton of t-shirts in my messenger bag. After being accepted to Handmade Arcade in 2008, I decided to set up a little screenprinting studio in my basement so that I could prepare without the bike commute. My husband had just found an old table-top screenprint press that somebody was throwing away; it was perfect. My DIY studio set-up was not pretty, but it definitely got the job done! Slowly, but surely, people started buying from me on Etsy and I started traveling to other cities for indie craft shows. I did this for the next two years while working full-time and the business slowly grew. In 2010, I had a meeting with a woman who contacted me on Etsy saying she was going to be opening a card and gift shop in Pittsburgh and she’d like to carry my work. That woman was Rebecca Morris, the store is Wildcard (in Lawrenceville), and that’s how I got my first wholesale account! Now, I have more than 50 wholesale accounts and this is my full-time job. It has been fun to see people that I don’t know wearing garbella- It happens with more frequency now and it’s usually people that I don’t know! My brother recently sent me a photo of a guy wearing one of my shirts in San Diego, a friend spotted a Pro Skateboarder wearing a shirt in a Thrasher Magazine video, and my Mom found a discontinued, old garbella design at the Goodwill! 2. How have the arts helped you become a leader and entrepreneur? What skill sets did you have to acquire? The arts have helped me to connect with a supportive, vibrant community in Pittsburgh. As a maker, I connected early on with lots of creative folks in Pittsburgh and developed relationships that have been vital to my success. I meet with a group of creative small-businesses once a week over early AM coffee to talk about ideas, share experiences and struggles. Having this kind of support from other artists has been essential to my growth as a leader and entrepreneur. I feel like I am continually needing to learn new skill sets as my business grows, but generally I have had to develop business and marketing skills. Oh, and how to juggle working a full-time job at a non-profit with a growing business on the side! 3. How did you become a leader in your field? What has been your greatest success as a leader and entrepreneur? What has been your biggest challenge? It’s an honor to be thought of as a leader and I think this has been a slow process. My greatest successes have come from setting big goals (the kind that scare you) and pursuing them with determination and purpose. My greatest challenge has been making the time and space to create new work while managing all aspects of my business. I still struggle with this issue, but am working on it. 4. Why is it important for women to create their own opportunities in the arts? I definitely think it is important to create your own opportunities in the arts because you are your own best advocate. Pittsburgh is a city in which you can do this and I think that is what makes this city so interesting and exciting. I love to hear about all of the awesome new projects, collectives, shows and events happening around the city. Handmade Arcade, I Made It! Market, Wildcard are three local organizations/businesses that really, really helped me get this little business off the ground. All three have women at the helm that have created their own opportunities while also supporting and creating lots of opportunities for women and men. There are many others that have helped the business grow and I’m grateful for all of them, but these 3 really were integral to garbella’s growth. 5. What advice would you give to emerging women (or of both genders) artists and arts administrators? From start to finish, all products are drawn, designed, and hand screen-printed by Amy Garbark in Pittsburgh, PA. She studied Fine Art at Alfred University and spent a few years as a Public school Art Teacher, followed by several years as a Program Director for an arts-based non-profit. During this time, she set up a screen-printing studio to work on personal projects and quickly developed a passion for printing. Since 2008, Amy Garbark has been exhibiting at retail shows across the United States, developing new lines, and creating long-lasting relationships with customers and retail stores. When not working in the studio, Amy can be found connecting with youth and community through teaching, cooking, renovating her house, riding bikes, hanging with Steevo, and traveling to indie craft shows across the United States. *Our spotlight on women artist in Pittsburgh was very very brief…please forgive us for not being able to do more. But hey–if you’ve got a suggestion for someone to spotlight in the future, let us know! This month, PEAL will be celebrating and honoring women artists in recognition of International Women’s History Month. Subscribe to our blog to read all about it! I am increasingly perplexed by a conundrum that I encounter daily in my work as a woman in the arts: where oh where are the women leaders? Well, scratch that. There are plenty of them. I need only look to our very own Pittsburgh Emerging Arts Leaders Steering Committee to see that there are plenty of women leaders. But as noted, they are emerging. Look towards the lists of established leaders (and you may decide for yourself what that means–I deduce that it’s any person with significant–read: 15+ years–of experience) and that number becomes quite small. Why oh why?? I had the pleasure of facilitating a conversation around this very subject this past Saturday at the Carnegie Library of Pittsburgh on the art form that I currently work in (classical dance) and am delighted to be sitting on a panel tomorrow, Thursday, March 7, at 6:30 pm the Alloy Studios about this topic. People are talking about this problem–and I frankly do see it as a problem in our field. For instance, Victoria Morgan from the Cincinnati Ballet noted while researching in preparation for creating a mixed repertory production comprised of exclusively female choreographers that of all the 290 ballets being produced by ballet companies with a budget greater than $5 million dollars, 25–read: twenty five or 11.6%–were choreographed by women. And that’s for an art form that has one of the highest percentages of women artists within its ranks. The SWAN Day website lists many more resources specific to different art forms that tell a similar story. But if in fact there is no dearth of women leaders in the arts, particularly at the emerging level, how can we, dear reader, nurture women leaders in the arts–both artists and managers–to bring them to that next level, whatever that might be? We’ll be exploring this question all month, but if you have any thoughts–please share! A native Pittsburgher, Kyle Abraham was recently awarded the USA Fellowship, having previously been awarded a residency at New York Live Arts and a Jacobs’ Pillow Dance Award. He formed his company in 2006 after having danced with (among others) Bill T. Jones/Arnie Zane Dance Company, David Dorfman Dance, and Pittsburgh’s own Dance Alloy and Attack Theatre. Kyle began dancing in CLO classes, studied dance at SUNY Purchase, and received an MFA in Dance from Tisch University in New York City. I spoke with Kyle on the phone in January as he and the company were preparing to perform in Birmingham, Alabama. What follows is a condensed version of that conversation. Do you consider yourself an arts leader? Well, I’m not a follower! I have my own vision of things – to try and be assertive, to push forward new ideas. What are some lessons you learned along the way about being a leader in the arts? Can you tell us about some challenges that you’ve faced? Ultimately, you want to find collaborators that really get your work. Working with these dancers that are younger and younger – its more than that. I just had auditions a month ago, and the thing that I found was that when I find a dancer who is not afraid to be ugly, I was more interested. I am more interested in [the dancer] being more fully invested. Bring yourself 150%, bring your face in there – I’m more interested in that than a younger dancer per se, or in someone clean. I am looking for someone uninhibited. Now that I am working with dancers on doing my roles, I have to find a dancer who is okay with movement and text and working that kind of way. The company had a big turnover in 2010, and it did make me think of a lesson I had learned from [director] John Scott, he said to me, ‘as soon as things start going well, going well, that’s when people leave.’ That made it okay for me to not take it so personally when people started leaving. That was hard. That and the sad reality of being a choreographer – most of the company is ten years younger than me, and then they’ll be twenty years younger, and so on. I remember being a guest artist on a show, I did a solo, and I remember watching the rapport [this choreographer] had with her company – they were friends and had a family vibe. I was touring a lot as a solo artist in 2008 and 2009. Now, if I am touring on the road [with my company], I want to be with people I have a strong rapport with – people that have a sense, a source of where my knowledge is coming from, where my movement is coming from. That changed the work for me, thinking of company members as collaborators. If I don’t think we have a good relationship, if I’m concerned with how you feel or how you might respond to what I do movement wise, that’s not good – that’s not healthy – that takes away from what I want to do. So, Pavement, which you are bringing to the Byham on February 16th, is set in Pittsburgh, as is The Radio Show, one of your earlier works. Can you tell us a little more about growing up in Pittsburgh? Everything I make is inspired by my life in Pittsburgh. A lot of my work comes from my high school years. That transition from 8th grade into high school – when I think about all of the changes that happen for people in that time, it’s a rich time to be thinking about. I went to Frick Middle School, which is not even called that anymore. At that point, I was in the International Studies program, which was a hotbed of students from all the different neighborhoods and communities coming together. My elementary school was in Shadyside … there weren’t too many black students, but there were people from all over coming together to be at my middle school – that brought more people and more tensions. Schenley [High School] as a school was separate in a bizarre way, the higher academic track was on the 3rd floor, the only other classes that weren’t academic were the art classes on that floor. I lived in the Lincoln neighborhood and went to high school in the Hill. So I was all over the city. I always love seeing Pittsburgh people [outside of Pittsburgh] – today I saw a guy with a Steelers coat and a Pirates t-shirt and we started talking right away. People are very approachable. In Pittsburgh, we just say hi to each other. I keep doing that, no matter where I am. What personal qualities would you suggest to our emerging arts leaders that they should cultivate? Any advice for emerging leaders and artists? Meet with people and get their advice. Make sure that each work follows the next one – that you are not just entertaining yourself. From a business point of view, the next show I want to make must be different from the one I just made. Keep challenging yourself. Come out – make sure the work is being done. I don’t want to rest on coming up to Pittsburgh and there being word about the show. You send press kit out so many months in advance in New York City, then you follow up a month before, and then two weeks before. New York City is so much about immediacy. I just have to have my stuff together more. Not to be concerned with what everyone else is doing. It’s such a distraction – if someone gets a grant someone else didn’t get, decisions about touring vs. not touring – that is only taking time away from the work. And come to shows! That drives me crazy when I see the dance community not going to performances, especially for troupes from out of town. You don’t know what you are missing not to go. See it and be inspired, or not – either way, be proactive. So, PEALs and others, reading this over, I am struck with how many of these words can apply to all of us, particularly about supporting our work and the work of others, being realistic about one’s collaborators, and being proactive. What are your thoughts and takeaways? Final exams are done. Grades are all submitted. Students have dispersed to home towns and countries for the winter holidays. Hamburg Hall is conspicuously quiet. The fall semester of the Master of Arts Management (MAM) program at Carnegie Mellon University has reached its end, giving faculty and students alike a chance to relax and reflect on what has been, for all, several eventful months. August saw the introduction of the 25th incoming class to the MAM program. As an academic discipline, arts management is still a relatively young field, so that the MAM program is celebrating its silver anniversary is a major milestone indeed. Only a handful of programs in the country are older, and only the MAM program at CMU combines rigorous quantitative training, managerial skills, and practical experience to prepare its graduate students to serve in this nation’s next generation of nonprofit leaders. Those new to the program (myself included) learned to flex analytical muscles around a host of current challenges and trends in the arts industry, a practice that will be deepened in coming courses. Those in the second year of the program undertook in-depth systems projects, working with regional clients to tackle an issue specific to their organization, and most importantly, to propose a solution. Together we listened to esteemed professionals as part of the monthly MAM Speaker Series, including Terre Jones, CEO of the Wolf Trap Foundation for the Performing Arts, and Rick Lester, Founder & CEO of TRG Arts. And in collaboration with MAM alumni, faculty, Pittsburgh-area arts managers, and keynote speaker Doug McLennan (Founder & Editor of ArtsJournal), we launched the first annual Symposium on Arts Management and Innovation. The day-long event explored questions of audience and community engagement, technological innovations, communications strategies, and artist contracts. Integral to the MAM program are the remarkable relationships we are privileged to have with Pittsburgh’s robust cultural community. As we look ahead to 2013, we endeavor to connect with more of our fellow emerging arts leaders in Pittsburgh and beyond. To that end, we invite all PEAL participants to join the MAM program at future MAM Speaker Series events (next up: Max Wagner, January 18); watch videos of this year’s Symposium panels; save the date for the Americans for the Arts Emerging Leaders Pre-Conference in June; and follow us on Twitter (@CMU_MAM). Our hope is that by intermingling the knowledge, experiences, resources, and insights among us, we will all be better equipped to boldly and creatively lead. To register for Max Wagner’s lecture on January 18 or for future speakers, visit Heinz College Events. Are you, an intern, or colleague are interested in furthering your arts management education? Applications for the 2013–2013 academic year are due on January 10. For more information, see Heinz College Application Process.